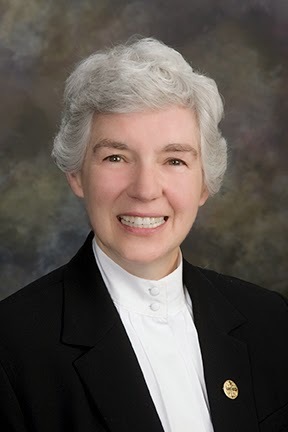 We welcome Prioress Michaela Hedican this week as a guest blogger to share her Easter message to our friends. What is it that makes Easter so joyful? The obvious answer is the Resurrection of Our Lord Jesus Christ. But Christ's rising from the dead should not only be seen as an historical event; it is as alive and meaningful in our lives today as when it happened over 2,000 years ago. The Risen Savior lives within each of us -- when we show compassion to someone who is lonely or sick, say a kind word, feed someone who is hungry or refrain from making hasty judgments about the behavior of others. Christ is here with us, too, in the Eucharist. Isn't it significant that the Paschal Triduum (the period from Holy Thursday to Easter Day) begins with the Last Supper and the institution of the Eucharist? The great blessing of the Eucharist is that, through it, Christ continues to give Himself to us. This gift is not only to us as individuals when we receive communion; as Teilhard de Chardin said in his Hymn of the Universe, "the entire realm of matter is slowly but irresistibly affected" by the blessing of the risen Christ's continued presence through the Eucharist. What a great and wonderful mystery to ponder and give thanks for this Easter!